All vessels must carry one wearable U. S. Coast Guard approved personal floatation device (PFD) or life jacket for each person on board. All vessels 16 feet length or longer must also have one U.S. Coast Guard approved Type IV PFD (throwable) on board and it must be readily accessible. Children 12 years old and younger must wear a U.S. Coast Guard approved Type I, II, or III PFD whenever in a vessel less than 26 feet in length that is underway. Each person riding on or being towed behind a personal watercraft must wear a U.S. Coast Guard approved Type I, II, or III PFD. The Alcohol Boating Safety Act makes it unlawful to operate a watercraft on the public waters of the State of Mississippi while under the influence of intoxicating liquor or any other substance which has impaired the person’s ability to operate a watercraft. a. As a condition of operating a watercraft on the public waters of this state, the person operating the watercraft is deemed to have given consent to testing for the purpose of determining the alcoholic content of his blood. b. “Watercraft” is defined as any motorized vessel with a motor of twenty-five horsepower or greater used for transportation on public waters, and any personal watercraft (jet skis). c. “Public waters” is defined as all public waters over which the State of Mississippi has jurisdiction. First conviction – Fine no less than $250 nor more than $1,000, or imprisonment in jail for not more than twenty-four hours or both. Violator must complete a boating safety course. Second conviction (within a five-year period) – Fine no less than $600 nor more than $1,000 and imprisonment not less than forty-eight consecutive hours nor more than one year of community service work for not less than ten days nor more than one year. Court shall order violator not to operate a watercraft for one year. Third conviction (within a five-year period) – Fine no less than $800 nor more than $1,000; and imprisonment not less than thirty days nor more than one year. Court shall order violator not to operate a watercraft for two years. Conviction of a fourth or subsequent violation (within a five-year period) is a FELONY OFFENSE. Fine no less than $2,000 nor more than $5,000; and imprisonment in the state penitentiary for not less than ninety days nor more than five years. Court shall order violator not to operate a watercraft for three years. Any person born after June 30, 1980 must have successfully completed a Boating Safety Course prior to operating a boat. Persons under 12 years of age must be accompanied by a person 21 or older on board the boat in order to operate the boat. For persons who wish to learn more about Mississippi Boating Basics and the legal and safe practices for boat operators, a six-hour course taught by trained instructors is available for groups. The Mississippi Boating Basics home-study course is available for persons who are unable to attend an instructor-taught course. Online courses are available at www.mdwfp.com. Most insurance companies honor these courses by offering reductions in insurance premiums on completion. Boating Enforcement, 1505 Eastover Dr., Jackson, MS 39211-6374. In Mississippi, all boats equipped with propulsion machinery and sailboats (anchored or not) which use the public waters of the state must be registered and numbered for identification. A person must register his/her boat no later than 10 days after the actual purchase. All boat registrations are valid for a period of three years from the last day of the month of receipt of the original or transfer application. You must have your registration card on board the vessel at all times. Due to the increase in marine theft, a closer look is being taken at applications for boat registration when received. Applications for boat registration with required information missing or information which appears to be incorrect will be returned. The applicant will be required to have their boat inspected by a conservation officer. A “Boat Inspection Request Form” can be purchased through point-of-sale license agents and an inspection will be arranged with an officer in the area. The cost of the inspection is $10.00 (plus transaction fee). The application should then be resubmitted along with the completed boat inspection form. All homemade boats will require an inspection prior to registration. Owners of new or used boats may get the registration form at any local county tax collector’s office, most places where boats are sold or serviced, MDWFP Regional Offices, or online at www.mdwfp.com. Complete the form, attach any necessary documents, sign and mail to the Jackson Office with the appropriate fee. To register a new boat, if purchased from a dealer, the sales invoice showing proof of payment of Mississippi sales tax must be included. If the boat was purchased in another state you may pay Mississippi state sales tax at the local county tax collector’s office. Include this proof of payment with the registration application. If registering or transferring ownership of a used boat you must include a notarized or witnessed bill of sale describing the boat being purchased. You must also provide proof of the last registered owner of the used boat. If a boat was previously registered and titled in a state that requires mandatory titling you must also include the previous state’s registration and title. The registration application requires a Hull Identification Number or serial number. This number should contain 12 digits if the boat was manufactured after November, 1972. 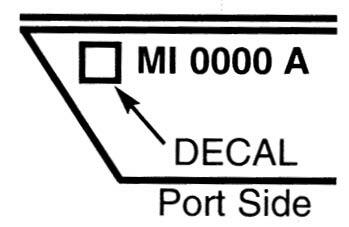 Examples of proper 12 digit Hull Identification Numbers will be: ABC456781272 or ABC45678A484. Boats manufactured prior to 1972 will have a serial number. Once a boat is registered, a notice to renew the registration will be mailed to the owner by the MDWFP. For convenience and faster service you may renew your boat registration wherever hunting and fishing licenses are sold, by calling 1-800-5GO-HUNT (1-800-546-4868) which is available 24 hours a day, or online at www.mdwfp.com. You may also mail your renewal to the MDWFP Boat Registration Department. You should notify the MDWFP Boat Registration Department of any address changes. If you lose your boat registration card and/or decals or if you need an additional boat registration card you may obtain a duplicate wherever hunting and fishing licenses are sold or by calling 1-800-5GO-HUNT (1-800-546-4868) available 24 hours a day. You must provide your MS boat registration number and hull I.D. number/serial number in order to purchase a duplicate boat registration card. * Boat registration fees are subject to change. After processing a new boat registration, the department will assign a registration number to be displayed on the boat. This number is also noted on a water-resistant, pocket-sized boat registration card which is mailed to the owner. This card must be aboard the boat when in operation. Boat owners also will receive two validating decals. 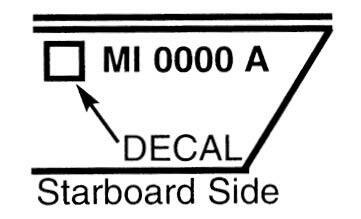 The decals should be displayed within six inches (6”) of the number (See Boat Registration Numbering System and Proper Display). The decals correlate with the year the boat registration will expire. The registration number assigned by MDWFP for a boat becomes a permanent number. That registration number will remain the same in the event that the boat is transferred to a new owner within the state of Mississippi. The numbering system consists of three parts: the first part consists of the symbol MI, which designates Mississippi; the second part consists of a numerical group having a maximum of four digits; and the third part consists of an alphabetical group having a maximum of two letters. Each part shall be separated by hyphens or equivalent spaces. The assigned number shall be painted on or attached to each side of the bow of the vessel for which it was issued. The numbers shall be placed on each side of the forward half of the vessel in such position as to provide clear legibility for identification. The numbers shall read from left to right and shall be in block characters of good proportion not less than three inches (3”) in height. The numbers shall be of a color which will contrast with the color of the background and be maintained to be clearly visible and legible, i.e., dark numbers on a light background, or light numbers on a dark background. No other numbers shall be carried on the bow of such vessel. Should you sell your boat, you are required to report such transaction to the Department of Wildlife, Fisheries, and Parks, which issues the registration number. The new owner must, within ten (10) days, make application to transfer the registration. If a numbered boat is lost, stolen or abandoned, the owner should first report it to the local authorities having jurisdiction, and then report it to Mississippi Department of Wildlife, Fisheries, and Parks. Validating decal should be displayed within six inches (6”) of the number. Boat and outboard motor titling is available in Mississippi but is not mandatory. Boat and motor titling is an optional choice for lending institutions and boat owners. The cost is $12.70 each for an original title, duplicate title, or corrected title. A boat must be registered before being titled. If the title is submitted indicating a lien, the original title will be sent to the lending institution until the lien is satisfied. Once the lien is satisfied, an original clear title will be provided to the owner. When a titled boat is sold, the owner must provide the original title to the purchaser along with a bill of sale in order for the boat to be eligible for transfer of ownership. Boat and Motor title applications may be obtained online at www.mdwfp.com, through your lending institution or from MDWFP Boat Registration Department. 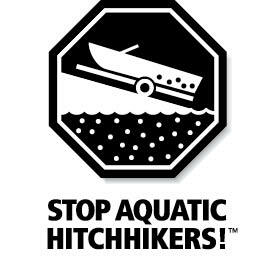 Remove any visible mud, plants, fish, or animals before transporting equipment. Clean and dry anything that comes into contact with water (boats, trailers, equipment, clothing, dogs, etc. ).